The Central fly away is the migration path of the Mid-Continent Sandhill Crane, with populations over 500,000 birds. Here are some statistic from the 2011 reports. 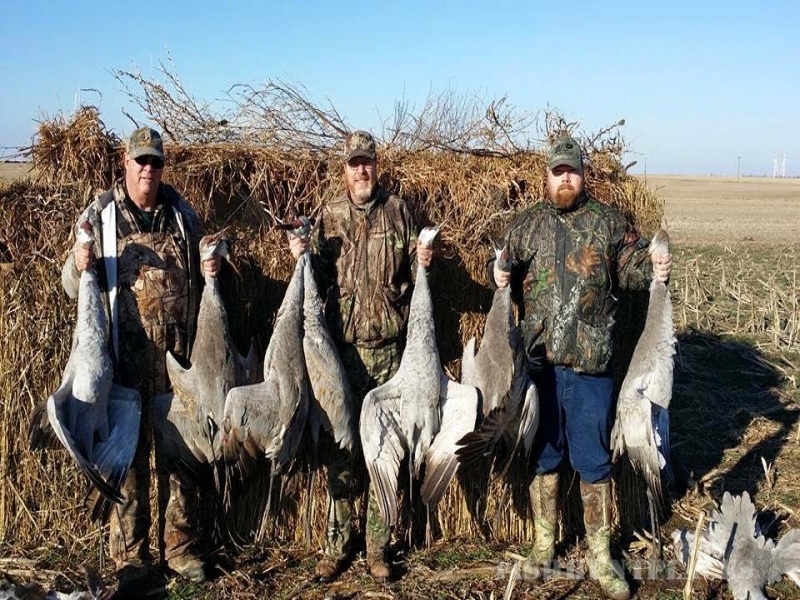 The total US Sandhill Crane harvest was 16,059, from that amount 14,442 was from the Central Fly away. 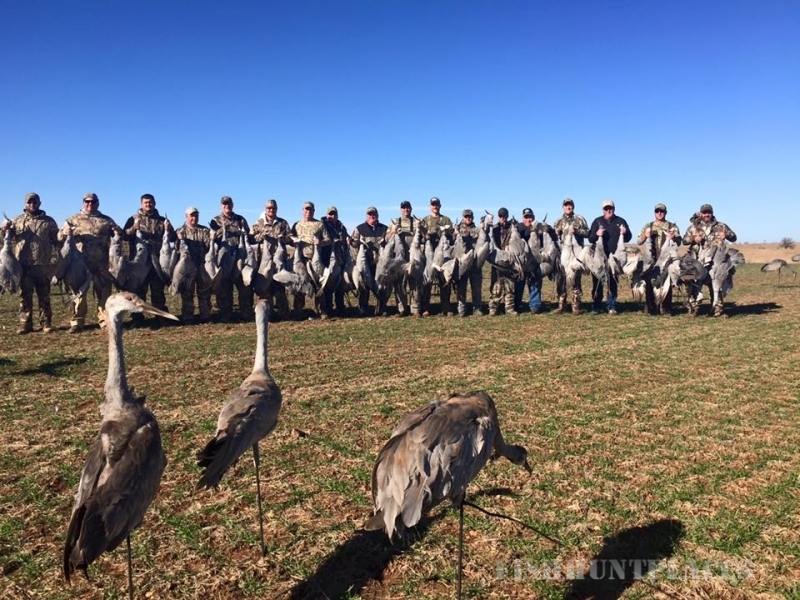 Western Oklahoma is virtually an untapped gold mine for hunting Sandhill Crane. 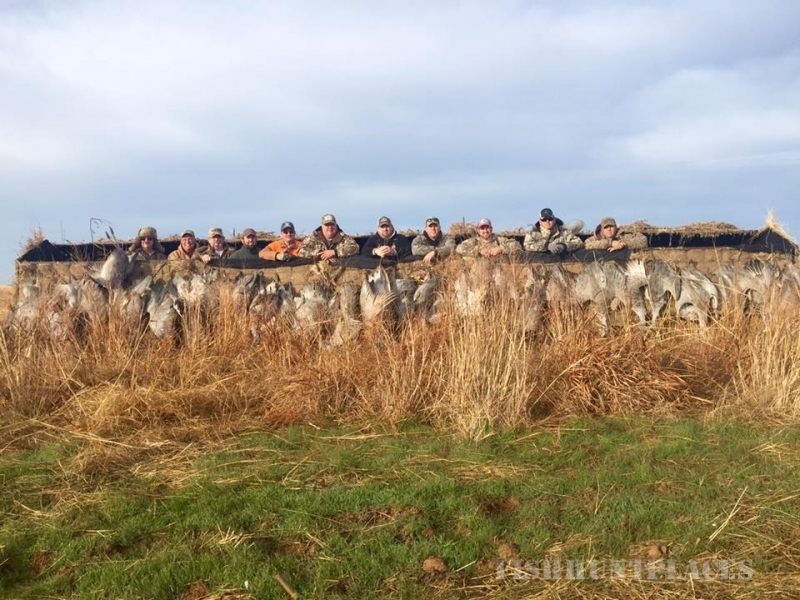 The Oklahoma Crane numbers are massive, and there are only 418 estimated active crane hunters in the state. 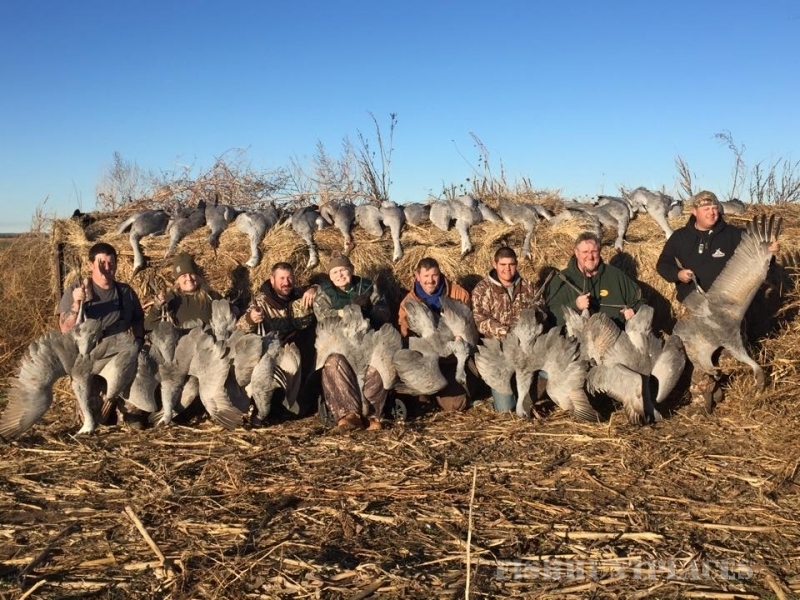 We believe there are a couple of key reasons these amazing birds are not being pursued more by waterfowl hunters. 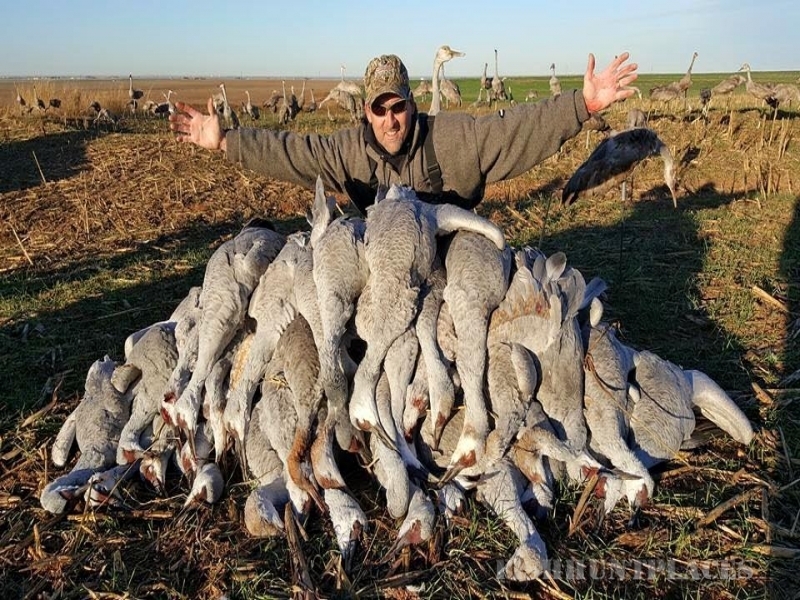 One reason, in our opinion, the Sandhill Crane has simply been over looked or not seriously considered. The other reason is, the Sandhill Crane is an extremely wary bird. 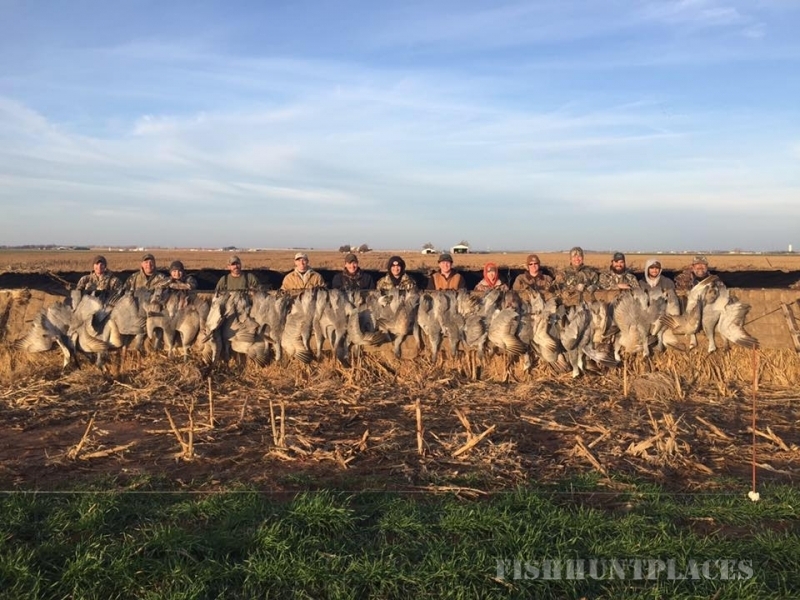 Whatever the reasons may be, now is the time to learn more about hunting these amazing birds, and get you on a hunt. It's a thrill you will not soon forget. 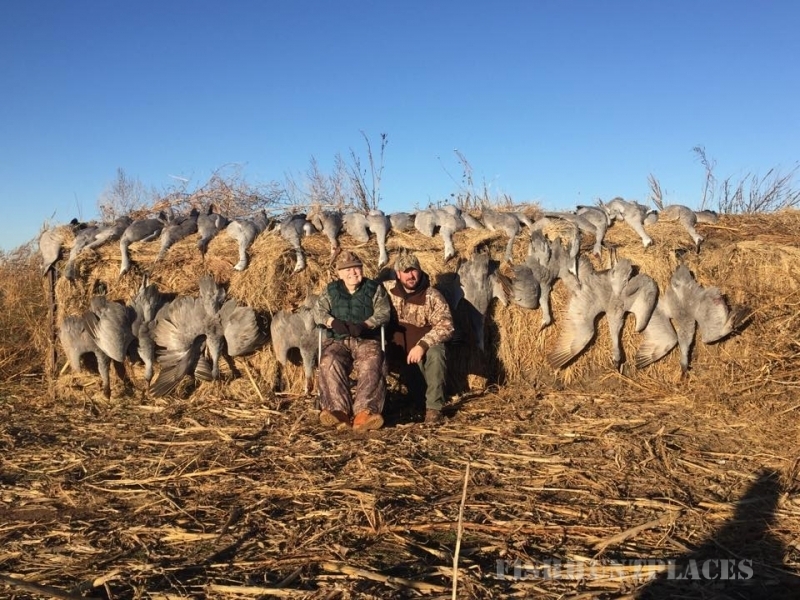 The Sandhill Crane has a gray body, with crimson on the top of it's head. Most live in freshwater wetlands. They feed on plants, grains, insects and worms. They are known to dig in the soil for tubers; this can cause framers to have significant crop damage. The life span of the Sandhill Crane is around 20 years; they weight 6-14 pounds and have a wing span of 5-6 foot. 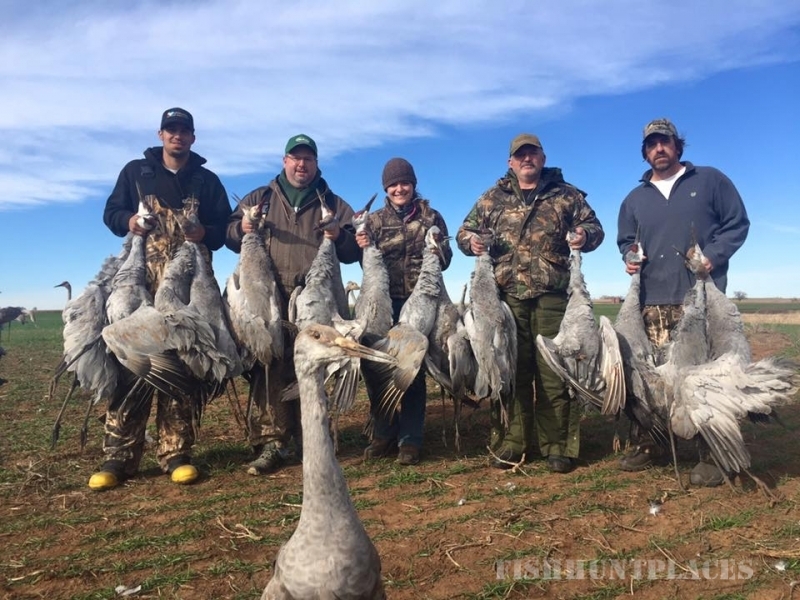 The Sandhill crane is regarded to be the best eating bird of all waterfowl that is why they are referred to as “the Rib eye of the sky".